..If they have good evidence they should convince with films etc. not subvert the democratic process with direct action. Direct Action should only be used if the democratic process has broken down and the matter is truly urgent .. not just cos you have failed to convince the rest of the world.. and not by bodies such as Greenpeace which are undemocratic. One day some protester will use it against Greenpeace e.g. "lock on" to the Rainbow Warrior to stop it leaving port. - The Green movement always point the finger & shout "It's all big corporation they are evil & self serving." - Yet green organisations like Greenpeace & WWF (World Wildlife Fund) exhibit the very same self serving chracterisitcs ..if a science report came out saying "such and such" , they could risk suddenly losing a lot of public support & funding, so they would move into denial instead ob absolute honesty ..a behaviour exhibited by the Catholic church in the case of child abuse. - Personally I don't believe businesses work the same way cos if they do coverups their shareholders interests would be damaged in the long term. ..for God's sakes reporters when new research comes out check the source ..if it only comes from activists it's not very credible is it ? - why are we concentrating on petrol in Europe if such a easily stoppable large source exists ? - serious thing about solar is far more people fall of roofs installing solar than from the nuclear power industry. 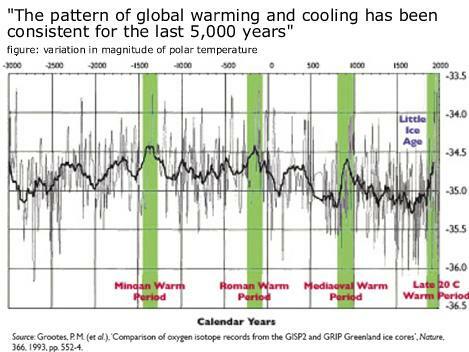 - SHOUTED A press release issued by the project said, “Global Warming is real,” adding that it can find no evidence of a heat island effect, and that even weather stations considered to be of doubtful quality still show relative warming over the 1950 - 2010 period in question. " - Wattsup said...."Why was this nugget missed or ignored? It is because environmental reporters are too obsessed with bashing sceptics, and reading press releases, than in reporting science.?" Slash and Burn 10 times as much CO2 as air travel ? - Is the humble slash and burn farmer really responsible for 10 times are much CO2 as the air traveller ? ..quote " show deforestation accounts for up to 25 per cent of global emissions of heat-trapping gases, while transport and industry account for 14 per cent each; and aviation makes up only 3 per cent of the total." - it's on pro forest websites ..
.. I presume it's not true but can't find official IPCC figures ..what percentage of deforestation is due to slash and burn ? - "Deforestation mainly in tropical areas, could account for up to one-third of total anthropogenic carbon dioxide emissions"." But recent calculations suggest that carbon dioxide emissions from deforestation and forest degradation (excluding peatland emissions) contribute about 12% of total anthropogenic carbon dioxide emissions with a range from 6 to 17%"